If you are looking for a truck that is as tough and powerful as it is savvy, stylish and safe, do yourself a favour and step into a 2017 Toyota Tundra. Here we will look at why this remarkable vehicle should be your next truck. The 2017 Tundra is available is two stunning engine options, each of which is designed for maximum power, optimal efficiency, and premium level enjoyment. The 4.6L i-Force V8 churns out 310 horsepower, 327 lb/ft. of torque, and showcases Electronic Throttle Control and Dual Variable Valve Timing, each of which feature Intelligence. If you need a little extra get up and go you will love the 5.7L i-Force V8, as this 32-valve beast includes the same advanced technologies as the 4.6L engine but generates a whopping 381 horsepower and 401 lb/ft. of torque. Getting a heavy load from A to B is also easy, especially in the 5.7L V8 as it has a towing capacity of up to 4,717 kg. Want more? The 2017 Toyota Tundra also features Automatic Limited Slip Differential and is the only half-ton pickup to offer a Blind Spot Monitor with Rear Cross Traffic Alert. Even the hardest working men and women appreciate a comfortable ride and the 2017 Toyota Tundra will not disappoint. Every seat has been designed to provide support where it matters most, head and leg room are in ample supply, and the centre cluster has been designed with dials large enough to control even with work gloves on. The air conditioning system features a cabin air filter, there are pockets and pouches everywhere you could need them, and Platinum models feature leather seating that is heated, ventilated and fully adjustable. The new Tundra is proof that even the toughest trucks can be high tech too. Its advanced display audio system boasts a user-friendly touchscreen, voice recognition functionality, as well as MP3/WMA capabilities, while Sirius XM Satellite Radio is also available to keep you connected to your favourite tunes wherever you are. The Easy Lower and Lift Tailgate can be operated with just two fingers, Bluetooth connectivity is in full effect, and keeping your devices powered up is simple thanks to the USB and auxiliary ports on board. 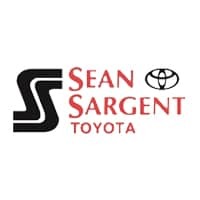 Here at Sean Sargent Toyota we are proud to offer some of Canada’s finest new and used vehicles, so whether you are in the market for a car, truck or SUV, start your search with us. You’ll find us conveniently located here at 10625 117 Ave Grande Prairie.